Horse racing is so wrong! All these young horses should NOT be dying – we all know why… GREED! Are you stupid or something? Young fast beautiful horses should not die like this. Let them grow up before you give them a job ! Child labor laws should be considered . Where do you think the injured race horses go? If they aren’t racing at the Kentucky Derby, Pimlico, etc., they are going to slaughter. Unless they are one of the lucky ones. My daughter has an off the track mare. She is a wonderful, beautiful horse. I wish more people would consider rescuing an OTTB. Horse Racing is a Thrilling, and OFTEN Inspirational Sport. The Tragedies come from either Health Conditions or Accidents. That’s Life ANYWHERE. I LOVE Horses. Let’s be More concerned about the Idiots at the Albuquerque Anti-Trump “Riot” throwing Rocks, Bottles, and Malotov Cocktails at Police Horses. To Michael Hubbard: so you find beating/whipping, doping, maiming, dying, dumping, kill auctions, and slaughterhouses INSPIRATIONAL – do you? Seek out your closest mental health professional. Let me know how it goes. I just had this conversation on the Paulick page : And I hope you all will chime in! Mr. Ortiz, if I took to heart what you’re saying, I would never watch another horse race again. My eyes were wide open when I decided to follow the horse racing sport. I know it is not for the weak of heart. I’ve had incredible highs and really, really miserable lows. I’m going through one right now and it has nothing to do with my precious Nyquist. But, I believe that most people involved with this sport, including owners and trainers, love the sport and love their special athletes. I have to believe it or I would not be here talking to you now. Thank you for your comment though…I’m glad Affirmed had such a caring person to take care of him when he needed it. 1st of all, I am Ms Ortiz. That is my ex in the pic. He saddled Affirmed when he won the Belmont. The picture is from the 2015 NYRA calendar. You say that if you took to heart what I was saying that you would never watch another race? Then I hope you do take it to heart. You know very well from what you’ve said. The icing for 2 hours before a race? The chain under the lip, on the gums to shank an unruly horse, the grooms who are too drunk to put bandages on a Triple Crown winner? The grooms in the lesser barns at big tracks who, rather than rub down the horse with rubbing alcohol, they drink it at 5:30 AM? The owners who don’t care even if the trainer says the horse isn’t ready for the race? You are right. The backside is not the rainbow and fluffy clouds it’s portrayed to be. Ms. Ortiz: Thank you so much for your excellent posts containing knowledgeable information that only an insider knows. I so enjoy reading them because they are the blatant truth. The beautiful Eden-like image of fancy hats, mint juleps, and grassy paddocks is so full of bullsh*t it makes me sick. Not only do they portray this image for the racehorses, but for the grooms as well. I’m sure you’ve heard the line: “they LOVE what they do.” Another crock of BS. The majority of grooms are immigrants (illegal or otherwise) who have little or no education, and little or no choices. Of course they are going to say they LOVE their job when they need the next meal on the table. The backside of many racetracks are slum-like, and this is where the grooms usually live. The last time I was on the back of Del Mar (yes, super rich Del-Mar) with wagering income in the billions, Mexican grooms were living in rat-infested, filthy dirt ridden, toilets not flushing properly, hot water not working, etc. Some were living there with their children! They were working 7 days per week, making minimum wager, with no benefits – especially NO medical benefits. I witnessed many Mexican grooms get seriously maimed from unpredictable, high-strung, drug-induced racehorses, and had no medical care or the connections would not pay for their medical care. Keep in mind, many of these connections were busy spending $100,000 up to 1 million on one racehorse at Keeneland, but would fail to pay for their medical care – more common than people care to acknowledge. Just look at the jockeys! They get lost in the conversation. Jockeys are being maimed on a regular basis either during training or racing. Some have even died from their injuries. Jockeys have to continuously fight and solicit for donations to the Disabled Jockey Fund! The Exercise Riders are a whole different issue as they have little or no protection – even less than the jockeys if you can imagine that. Their job is the riskiest on the backside as they iron out the kinks of high strung, unpredictable, probably drug-induced racehorses that have been confined in a stall for 23 hours, and have steam coming out of their nostrils like a bull about to enter the bull ring. I have so much sympathy for Exercise Riders, but it’s their choice. This is all going on against the backdrop of super rich owners spending millions to buy racehorses. The exploitation extends beyond the racehorses to the grooms, the jockeys, and even some Trainers. For example, Maria Borell Trainer of Breeders Cup winner Runhappy. To this day, she hasn’t been paid her 10% Trainer commission, has been forced to sue the multimillion dollar Owner of the horse, and recently has basically been bared from training in the USA! Evidently, Runhappy was a very temperamental racehorse that required extra special care. Maria ensured that the horse developed in the right way, and she still was dumped in the end with no pay. Her multimillionaire Owner McIngvale has done this before to other Trainers. He maintains that he didn’t have a 10% commission agreement, but I side with the Trainer. A 10% Trainer agreement is standard in the industry. Horse racing is an antiquated business model that breaks many laws under the watchful eye of the racing commissions. They break animal cruelty laws, they break First Amendment laws by eliminating video reruns of horses breaking down although never tried in court, they break labor laws usually by unpaid overtime hours/no vacation/no time and half on statutory holidays, they break immigration laws – numerous cases come to mind. Not only do they break laws, but they get unprecedented tax breaks, outside financing, and questionable financing from wagering income that could include overseas accounts. It’s time to rein in the wild west, and shut this cruelty circus down. They won’t ban racing but they need to at least ban racing of 2 year Olds. These horses are far too young and fragile. It’s just very sad and unnecessary. Kat, actually, the typical horse doesn’t reach full musculoskeletal maturity till around 6. So – almost all are too young. Yeah, that would be one way to “improve” this would be to change the age range of the triple crown races and other high stakes races until the horse has matured to 6 or 7 years old but that is too many years with them not bringing in any money. Also, as long as they let the racehorse industry police themselves, it will be difficult to get any changes done unless people stop attending the horse races, that is doubtful as well. Kat, not only are two year olds racing, but those same horses are broken to ride at 12 months and put into race training at 18 months of age. Obviously, if they are expected to race at two, they must be trained to do so. There are many racing supporters who often mention that races for two year olds need to be eliminated thinking that may stop some of the atrocities in racing. However, once you understand the racing industry, you will soon realize that will NEVER happen. Horses are very expensive to own and a horse standing in its stall, or in a pasture, for an extra year or two has no potential to generate revenue. You simply can’t make money with your horse if that horse isn’t entered to race. Therefore, the quicker you get your horse to the track, the quicker you may get a paycheck if the horse “hits the board.” Remember this…whenever you mix money and animals, the animals end up losing 99% of the time. It always amazes me why people have such a hard time accepting that concept. Thank you ….2 year olds aren’t done cooking. Their knees aren’t closed. I HATE THESE GREEDY S.O.B’S I’M SO ANGRY THAT I CAN’T DO THIS!!!!!! Ms Ortiz, I totally agree with you. I especially hate the owners that could care less. l have seen everything that you describe. But, I have also seen many grooms that love their horses and treat them with great care. Many years ago, my reaction to the condition of an incredible horse that could barely walk after a stakes race caused the trainer I worked for to send all his horses to farms for several months that Spring. I hope that it changed the way that he worked those forever. I never went back to the track after that experience. The folks I was with yesterday said, why don’t they move the race to another day when the track is that bad. I had no answer for them except “They won’t cancel and reschedule a race like the Preakness.” I was terrified for those horses as they were running that race!! Bad track has nothing to do with it although it may have contributed. I say that heavy-handed because there are racehorses dying every day on racetracks all over this country on dry surfaces. It doesn’t matter what the track conditions are because this business model includes doping to cover-up chronic lameness issues, doping to perform, doping to get a competitive edge, doping beyond natural ability, whipping/beating when tired and/or sore, dumping when no longer profitable. All of these things take place all over the country whether the track is wet or dry. This is horse racing. People should not only be terrified, but take action against this cruelty circus, and death camp by supporting Decoupling, ending all supportive financing to this industry. I can tell you with almost certainly that the majority of grooms are not there because they want to be, they are there because of lack of choices. Have you ever conducted a study on how many grooms actually love their job as you claim? Of course they are going to say that because they have no choice. Important to note that many grooms (especially at Woodbine Racetrack) are on work permits where they can be fired and sent back to, usually, Jamaica at any given moment. Of course the larger operations like Adena Springs somehow puts through Mexican immigrants. I can only guess how? Working 7 days per week, risking getting maimed every day, getting sore backs from bending over wrapping legs, breathing in the caustic chemicals with no mask or protection to either their face or hands. They just LOVE to do this while making low wages with no benefits. Come on – get serious. I was once an owner/trainer, and I put closed circuit cameras in my stalls because I was worried about the activities of grooms in the stall when nobody was watching. I can tell you this: many begrudge their work. They would smile and tell me how much they loved their job then I would watch and listen to the tape. Seconds later they would be saying things like; “move over you stupid rat.” Some would take the hoof pick and jab it into their side or if they didn’t like a horse they would intentionally cinch him so tight that he would flip over in the stall. More often than not I saw legs wrapped improperly on a regular basis, and so tight that they would cause a bowed tendon. I can’t count the times I would stay late unwrapping, and re-wrapping my horses legs. So before you start portraying this beautiful image of grooms LOVING their job – think again. animals are not here for our entertainment. or mass production for consumption; you think that in this day and age we’d have something called compassion…not to mention the unimaginable devastation of clearcutting of the worlds forests for grazing animals and their feed will destroy us. we deserve it. too bad we have to torture and slaughter so many sentient beings on our way to hell….greed. pure greed. Right you are. Wish the public understood that there is so much more to racing than the track – lots of abuse and cruelty.. Maybe there is hope for the future considering there has been noticeable success with closing down dog tracks which seem to be falling out of favor. I finally found a post about Homeboykris and Pramedya on ABC7 facebook’s page. I’m sure one of the only few that reported on it. 350,000 reactions and close to 600 shares and about 600 comments. The majority of people were angered, saddened, confused, and horrified to what happened. But none of them really know all of the true facts horrifying facts about horseracing. Now is the time to educate about the corruption and greed. Please if you are on facebook go to this site ( ABC7 ) and share any info or links that you can. Now is the time, people are starting to open up their eyes. If Patrick’s kill lists could be added somehow, more eyes can be opened. The light is getting brighter at the end of this dark tunnel. It is the Glendale, Califoria page. Have to scroll down a bit to find it. Thank you. I left a comment. Please folks go to this link that I provided. Submit a comment. Put your anti racing passion into action by supporting ex racehorses . Adopt an Off The Track Thoroughbred (OTTB) or donate to one of the dozens of organizations that help these horses avoid slaughter and reach for a new life . It’s the most positive way to help racehorses , today. Many of us posting here, myself included, have done more than enough to adopt OTTB’s, rehabilitate, and re-home. We had NOTHING to do with the exploitation. So STOP putting the blame where it doesn’t belong! What you need to do is lobby the multi-million dollar farms, and owners who are RESPONSIBLE for bringing this life onto this planet for the sole purpose of filling races, and to increase wagering income. The entire industry should be the ones held legally, and fiscally responsible for these dumped OTTB’s not people who are against horse racing. You people sicken me because you are constantly passing the blame and responsibility onto everybody else, and I won’t accept your approach – not for one moment. The multi-BILLION dollar horse racing industry that dopes, maims, kills, and dumps racehorses are the ones that should be putting aside a minimum of 1% of wagering. For example, the approximate total of wagering income on Derby & Preakness Day 2016 was 20 BILLION DOLLARS!!! Now just 1% of that money would go to rehabilitate, and re-home one foal crop in 1 year. Since the racing industry insists on their irresponsible breeding to the tune of about 20,000+ foals per year for the sole purpose of filling races, they are the ones who should be doing more – much more. Moreover, with these foal crop numbers there will never be enough homes to go around. There are not enough homes now – I mean decent homes where they are not being neglected or abused. There are hundreds of OTTB’s on waiting lists to get into their so called aftercare programs whereby many are no longer accepting OTTB’s or the caveats are impossible to meet. So much for their aftercare programs right? The main reason why they are no longer taking OTTB’s is 1. lack of financing while this industry makes BILLIONS in wagering. 2. no homes available so they know they will be financially responsible for that racehorse for a long, long time – something that their lack of financing will not support. Not to worry though, they can pull a 10 year old racehorse with back class out of the field and continue to torture him on the racetrack, and/or pull them off a lay-up which really should have been permanent retirement. Horses such as Casino Jack, Tejano Trouble, etc. etc. The list is long. Some of these horses made over $100,000, some over $300,000, but that wasn’t enough for these greedy people. No – they had to squeeze the lemon dry. Many end up dying in the dirt. I could go on and on, but PLEASE don’t blame people who had nothing to do with the problem that the horse racing industry creates on a daily basis. I’m sure many of these CEO’s or large farms have shares in the slaughterhouse. What you should be doing is 1. Support decoupling. End all outside financing support to the horse racing industry. 2. Don’t wager or watch horse races. 3. Cancel the Interstate Horse Racing Act which directly relates to point #1. 4. Educate. You seem like a smart girl. So you should know that the only way to end the unwanted OTTB problem is to end this antiquated business model, the cruelty circus, and death camp known as horse racing. Beckette, in theory, your suggestion is an excellent one but let me share an analogy with you to show you that it won’t work over the long term. Suppose there is a water main break in a pipe and your basement is rapidly filling with water. You immediately grab a bucket and begin scooping up buckets filled with water and tossing the water outside. However, the water keeps rising and rising and you finally ascertain that the bucket just isn’t working. Why? Because you haven’t addressed the real problem which is the broken pipe. You must shut the water off and fix the leak. You then suggest that I put my “passion” into adopting an OTTB. I currently have five OTTB’s and have helped many more over the years. If you understand basic math, you will quickly realize that there simply aren’t enough homes for all the discarded horses in racing. With approximately 24,000 foals born this year, and only 5% ever winning a stakes race, you have over 22,000 TB’s that most likely will need a place to go at some point in time. I have no idea how long you have been involved with horses, but I have been involved for over 50 years. It costs me approximately $3,000 yearly just for basic care and that is for the TB’s I keep at home. It doesn’t include farrier, dental, vet costs or labor. The costs are staggering. Therefore, we must DECREASE the number of TB’s being born….we must fix the broken pipe. The biggest demand for the TB product is the racing industry and, after racing uses horses up, they expect the good hearted folks, like you and me, to pick up their damaged product and “fix” it. Adopting an OTTB is a noble gesture but it doesn’t address the problem which is the overproduction of the TB racehorse or the broken pipe. If you are a businesswoman you will understand this basic concept…too much supply and too little demand. Donating to rescue organizations is a great idea. However, the vast majority are full. Joy Aten and I reached out to five TAA accredited rescues in Florida a few months ago to help with a mare we were asked to follow. Four were full and declined to help. The fifth one never got back to us with a definite answer. Another TAA rescue in Michigan told me last December that she was “full to the gills” as were all the other TAA organizations she worked with. Pretty sad, don’t you think? Racing is a 40 BILLION dollar industry that talks a great story about TB aftercare but does very little. By saying that donating helps horses avoid slaughter (and you are correct about that), you are actually admitting that slaughter is the disposal system for unwanted horses in racing. Why would anyone, with strong morals ethics and values, support an industry that sends its “product” to a grisly death? Perhaps they don’t love the horses as much as they say they do! Words, as we all know, are cheap. The most positive way to help racehorses today is to fix the pipe. Speak out against the atrocities and share documented information with family and friends. The filth in racing is actually incredibly easy to clean up. Just stop betting on the horses. Do what Pete Rose did…bet on baseball instead. Well said Mary, and to use your analogy of a broken pipe? My water pipe is broken and gushing with water so Beckette can you come over, hire the plumber, and pay for the bill? Get what I’m saying – horse racing analogy in a nutshell. My passion is right where it needs to be…exposing the truth. Beckette not everyone has the space, time or money to adopt an OTTB and it would be wrong to adopt one if you can’t treat it right. Donating money to charities can only do so much and no one really knows what the money is being used for. Also the people that do adopt can only do so much because the breeding industry keeps over breeding. 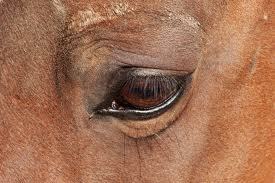 So the most effective way would be to end the cruelty that is horse racing. If you end it then there would no longer be a breeding industry, nursemare industry, orphan foals and no more slaughtering. I just want to say that just because a horse is ” Vanned off” in other words they send the horse ambulance to pick him up does NOT mean there is anything really wrong. Sometimes the horse just missteps and stumbles a bit ( like we all do). He’s not going to win his race, get him off and just double check he didn’t have a muscle pull. You made it sound like all these horses were seriously hurt or maimed. I wouldn’t be surprised if many of them are back racing and do quite well. If you want to scream how barbaric horse racing is go to a dairy farm. I have watched horses chained & pulled behind a tractor because of a twisted stomach ( they have 4). Reason?..The farmer cannot afford the simple surgery of a Vet, this is an old way and does work sometimes as the cow will roll around as its being dragged. If it fixes the problem..great back into the milk barn, if it doesn’t off to the butcher.Our small local farmers are drowning in debt so Vet calls are way out of their budgets. Also as far as migrant workers at the horse barns..at least there IS running water & toilets. Hit the migrant workers all over the country that don’t have easy access to either. None of them have medical either and most do NOT get minimum wage. They are paid by the bushel or pound or whatever sort of measurement the owner chooses. The worst is when the migrant is forced to ” RENT” their home, buy food, clothing from the owner since they live to far from a store and most do not have transportation. Also most of these children work with their parents in the fields and go without schooling…a good way to have ANOTHER generation working the migrant route!! Everything we as humans do as far as animals is at some point detrimental. Lets NOT forget we also are the same with our fellow humans. I am a VERY big supporter of The WWF and other org. but I am honest in that Right now our energy needs to go to those animals on the verge of extinction. Will there be no Elephants, big cats, Blue Wales Wild horses, Bison in my Great Grandson’s life?? She says while completely ignoring the four confirmed kills from Saturday. As for the rest of your drivel, I am vegan and am against all animal exploitation. All of it. I’m a vegan. I’m against all animal exploitation. First of all if your so concerned about the horrific plight of animals destined for human food then go vegan. This abuse, and exploitation could be wiped out if everybody made proper choices on the end of their forks! Second, two wrongs don’t make a right. The math is all wrong. Third, your attempt to justify this horrific cruelty circus, and death camp by pointing out other abuses doesn’t suddenly preclude the industry from it’s own atrocities. Fourth, the proverbial bad step analogy. An excuse used over again to the point of vomiting. Fifth, if any racehorse is unable to exit a track on it’s own accord, then something is horribly wrong. Further, many racetracks now have policies to get the horse on even with a broken leg (they cast it) where they can carry on the dirty business of humanely euthanizing yet another victim of this slave trade in the hidden cob webs of the stable area away from public view. Sixth, the majority of racehorses being carried away in their “state of the art” ambulances are euthanized. Check the extensive Killed In Action list on this blog. Seven, many racehorses die or are euthanized after they exit the track or during morning training hours that is not reported. So these KIA lists are conservative at best. Eight, a report in California demanded that Santa Anita upgrade their stable area. I’ve been there. It was disgusting. Perhaps Frank Stronach & his cohorts have since cleaned it up. However, when Del Mar was given the same order they specifically stated that because it was a government owned facility that they merely lease, they didn’t want to spend money on upgrades. Instead they focused on the track upgrade where the MONEY is made. Again, don’t know just how far this has come along or if it has changed. However, my sources tell me it hasn’t. When you have the government ordering you to upgrade a decrepit, and unsanitary facility there’s a reason for it. I heard many times comments similar to yours such as “they come from toilet bowls in Mexico so they should be grateful to be in America,” “at least they have a job here,” etc. etc. Similar to your comparison of migrant workers. So now I have to drop the bombshell. It’s called GREED, and it’s happening all over our planet. This industry is making BILLIONS in wagering income – where in the hell is it going to? Pray tell me – where? It isn’t going to the racehorses for a well deserved retirement – that’s for sure. It isn’t going to provide decent living conditions, wages, and benefits for the workers who bust their butts/back/balls every day taking care of million dollar horses is it? No, the money is going to about 10% of certain people while 90% suffer. It’s called GREED. Nine, Stronach & cohorts just recently announced that they will upgrade tracks in Maryland. They wouldn’t announce or invest in upgrades if they weren’t needed. The last time I was at Pimlico it was utterly disgusting. The living conditions were just as bad as a 3rd world country! I’m not sure what your capacity is in the horse racing industry, but owners spare their eyes for such ungodly sights because most are too busy spending millions buying up more racehorses at Keeneland. Ten, so glad you commented. Bob…your words….”people talk bad about it for no reason at all.” Horses snapping their legs off and dying in the dirt is “…no reason at all?” Please go away because you are an idiot. Racehorses are being maimed, and killed on a daily basis including legs being snapped-off, tendons torn in half, collapsing, etc. etc. and you think that it’s all so amazing? There is every reason to talk about it. Horse racing is not amazing. It’s a cruelty circus, and death camp. It not only maims and kills racehorses, but jockeys, grooms, and exercise riders as well. Is that amazing too? Go to your nearest psychiatrist and get a psychiatric assessment. Let us know how it goes. These horses all are victims of animal abuse! Let’s prosecute the law breakers ! It is tragic…but a complete ban on racing would result in a tremendous surge in deaths among thoroughbreds. Ban racing, and you suddenly have an overwhelming number of unemployed, essentially worthless horses. People who find themselves unemployed when their company closes can file for unemployment, but horses are at the mercy of humans to support them…and they are not cheap to support! Only so many people–including the people who want racing reformed or banned-can afford or are willing to adopt, or buy, an ex-racehorse. The slaughter sales would be crammed to overflowing, if racing is banned. Not to mentioned the thousands and thousands of people who work with these wonderful animals, both at breeding farms and at the track–so many of them would be not only jobless, but homeless as well, as many grooms, riders, and hotwalkers live in track-provided housing. Racing needs some help– a complete ban on any steroids, larger purses for older horses, to encourage waiting till a horse is physically mature to race, and maybe even longer races, for stamina to be more what determines a winner, than blinding speed–but I think banning it altogether would be far worse for thoroughbreds than anything. The breed would dwindle away, eventually, and THAT is a tragedy. Sandi, you are wrong, very wrong. If racing was banned, you would initially have thousands of horses with nowhere to go and that is exactly what we have now…thousands of horses with nowhere to go. However, within a couple of years, breeding would decline substantially. There would be less demand since racing would no longer exist. Now, if you are a businesswoman, you should certainly know that, with less demand for the product (the TB racehorse), the supply would decline and you would have far FEWER TB’s entering the slaughter pipeline. Initially it wouldn’t be a pretty picture, but it isn’t a pretty picture now. I am vehemently opposed to slaughter, unlike some posters on this blog, so what is the answer? Horses must be euthanized if the surplus of unwanted horses exceeds the demand. A horse waiting to be slaughtered would gladly trade places with a horse waiting to be euthanized. As far as the breed disappearing, I doubt if that will ever happen. There are people, me included, who absolutely love the TB and I personally believe that the breed will survive for many years to come. As far as people losing their jobs if racing died in the dirt, I really don’t give a damn. I know that sounds harsh, but being employed within an industry that mains, and kills, horses DAILY just doesn’t sit well with me. The atrocities I have seen over the years would fill the Empire State Building. If all the puppy mills went out of business, I wouldn’t shed a tear for the unemployed puppy mill operators. In fact, I would be delighted. You state that racing needs help. At one time, I actually agreed with you, but I no longer live in the enchanted forest. Racing can’t be “cleaned up.” If it could be “cleaned up” or “helped”, I can assure you that someone would have done so by now. Now, when I hear that racing needs “help”, I immediately offer to help it die in the dirt just like so many of its horses do. I will never watch another horse race after what happened Saturday at the Preakness ! They the owners need to clean up the business! Too much abiuse for the horses, two year olds have not developed their bone strenghth in their legs and they race them, Lasix injections , grooms that abuse etc.! Greed is the name of the game!!! I will not attend or watch another horse race !!! Thank you, Betty. But there is no cleaning up this vile business. It must go. I read a lot of posts from Gina. Where and how do you obtain your information? Is it factual? I grew up as a racetrack brat, harness though. My dad was a trainer and driver, a good one. This was his passion and how he supported his family. Sixty something years and he saw the changes in the field. Change must come from within, the Associations, I’m not familiar with Thoroughbreds, the race tracks, racing commissions. I’m not sure horse racing will ever be banned even with all the public outcry. Some very wealthy people are involved with millions invested. I grew up in the industry in the 60’s. Both parents heavily involved including owning, and training. I later owned, and trained myself. I’ve done it all, and seen it all – it’s a horrific industry to be involved with in any capacity. I hope it ends in my lifetime, but if it doesn’t I predict a substantial decline in the number of live racing venues in the U.S. once decoupling passes, the Interstate Horse Racing Act is cancelled, and tax breaks or taxpayers money is eliminated. Funny you should mention wealthy people involved – your absolutely right! While I’m all for success, and wealth I’m against supporting any business model, that has for it’s foundation: doping, whipping/beating, maiming, dying, and dumping. It’s a cruelty circus, and a death camp. It’s not unlike the Roman Coliseum blood arena where wealthy royalty watched animals get maimed, and killed. Just as there are wealthy people supporting this barbarism, there are also wealthy people against it. Hopefully, the ones against it will help shut it down. I don’t think you will see the end of live racing in your lifetime. Even though some venues might be closing/closed, the big circuit tracks are still supported and will continue to be as long as they generate revenue. Most people are not even aware of the politics involved. I don’t know if there is a happy ending here… pro’s vs cons, a lot at stake. I didn’t find it horrific, 60’s – 80’s, my Dad retired in 2010. I think the difference was a love and respect for the horses. If you truly loved, and respected the majestic sentiment racehorse then you wouldn’t exploit it in the first place. These posts are a good thing. Otherwise I’m afraid the industry can spoon feed a lot of crap to the general public. I was not at the Preakness. I was attending an outdoor concert and I heard murmurings here and there in the crowd, “Two horses die at Pimlico”. I sprang up and asked around for anyone with a smart phone to please Google and pull up the details. What I got was “1 broke down and 1 horse succumbed to a heart attack.” Matter-of-factly, just like that. I was ravenous for details, and it seemed like I was bothering people who were totally okay with the track explanation, “TB goes down with a heart attack after photos in the winner’s circle. That’s why 3 days later, I was still looking for anybody out there who finds this peculiar … and I hit on the site for Horse Racing Wrongs. These things need to be said so that light can be shed. That’s why we do we what we do, Michelle. Thank you. Patrick, PETA just announced that 2 racehorses died on race day. Maybe we should bring them up to speed! One good thing though, they are demanding the vet records for 2 weeks prior to their deaths on Preakness Day – this is a good thing, and I hope they get them! BREAKING NEWS: Derby Winner Nyquist didn’t ship to Belmont because he spiked a fever after the Preakness. Again, no way to confirm this is true, and it was released by his connections. New York is the only racing jurisdiction that requires ALL medical/vet records leading up to the Belmont be submitted to the commission on a daily basis. Is team O’Neil hiding something? Perhaps they don’t want to succumb to doping exposure of Nyquist since this would reduce his value as a Stallion? Moreover, IF they were running, and winning on dope then they may not be able to follow his doping protocol (if there is one), and he would perform lousy? I have boycotted watching all horse racing events since I saw Ruffian. Stop the madness… it is cruel!!!! You people disgust me with using these poor animals. You have no hearts for them. MONEY at the cost of THEIR LIVES. I only hope each one of you get what you deserve. You will all give an account. Gina…thanks for bringing up the latest on Nyquist – and like someone commented on the PR about this, who can believe anything coming from the O’Neill camp? But THIS comment (copied and pasted below), from a “greg” who is a frequent pro-racing poster on the PR, must be shared – talk about incrimination. Sickens me. Animals are not on earth to please humanity! Colts and fillies are not yet developed by any means! if a three year old child was forced to do this people would be up in arms! No to abuse of any form! They are not toys, they are not food, they are not trophies! Your comment about the sponges is true because I was made aware of it. From sponges to snake juice, to electro-shock wave therapy, to legal/illegal doping, to racing commissions that never suspend the dopers, to Trainers who get rewarded for cheating, to bad track surfaces, to weighing down horses, to possibly fixing Lasix shots 4 hours out of a race, etc. etc. Most importantly, racehorses who are being whipped, maimed, and dying for $2 bets – one would have to ask – why in the hell do wealthy people continue to spend hundreds of thousands of dollars buying, and breeding racehorses given these facts? For heavens sake there are starving children in the world, there are thousands of OTTB’s going to slaughter, there are stable area personnel unable to get medical treatment for racehorse related injuries? My only answer is that they have lost their minds or their egos have taken over their sense of reason. These people call it passion – I call it deliberate delusional psychosis only because I experienced it, and live it for years. That said, I can’t understand how owners justify spending half a million dollars buying a racehorse knowing full well that these things are all part of the horse racing business model. The only thing that comes to mind is deliberate delusional psychosis. I say this because I was once suffering from this mental state when I was involved with this industry. I’m not a professional, but I refer to this umbrella term that seems to accurately reflect why horse racing people continue to do what they do. There are many owners who do this, but the most recent example is Barbara Banke from Stonestreet Farms. BB is a multimillionaire who inherited her late husbands estate which was in the billions. Their main source of income is wine (1.3 billion per year income),and they own wineries in California. Just google it. That said, this lady has been in the top 3 buyers at sales auctions for the last several years. Just a quick review of her sales auctions purchases totals approximately 30 million to add to their already 200 million dollar horse racing investments when her husband was alive. From their purchases of farms in Kentucky, and a state-of-the-art training center in Florida recently to get the 2 year-old’s going. She’s a prolific breeder as well. She sends the majority of her horses to Todd Pletcher, and some to Steve Asmussen – both multiple drug violating Trainers. Her success has been minimal relative to the amount of money, facilities, and connections that she surrounds herself in, but most disturbing is many of her former racehorses have either catastrophic breakdowns (ROCK FALL – trained by Todd Pletcher snapped both front legs while preparing for the Breeders Cup) or career-ending breakdowns, or lameness issues. She states on her Stonestreet Farms website that she competes at the “highest levels of the game.” As if this makes her any different? It doesn’t because in the end some of her racehorses are victims to this industry just like a lower level claimer – dying in the dirt. Nothing evidently because just the other day at the 2 year old Fasig-Tipton sale – she purchased the fastest filly for over $500,000! That’s ONE racehorse folks. Now most of us know full well that those 2 year-old’s at the sale are pushed so hard, so young, long before their physical or mental being is developed. Very few actually make it to the Derby/Oaks as they lay broken on the path to the high level stake races. I realize that people have every right to spend their money where they want just like I have every right to comment on this scenario: has she lost her mind? She is supporting the entire business model that horse racing is: from breeding, to maiming, to whipping, to dying, to supporting multiple drug violating Trainers – it’s all there. It makes it no different when it’s window dressed with multi-million dollar racehorses, farms, fancy hats, mint juleps, grassy paddocks, state-of-the-art training centers etc. etc. In the end, she is participating and supporting this cruelty circus, and death camp. The most disturbing part of it all it that us “commoners” can only imagine how much good could be done, for both horse and children, with all that money. She’s not the only one, and I don’t want to single her out whatsoever. I just used this example to show that no amount of money justifies the on-going cruelty, abuse, doping, maiming, dying, and dumping that is part of the horse racing parcel. She states her main goals are to win the Derby, Oaks, and Breeders Cup – good luck to her. If she ever does win I’m sure she will forget all the racehorses that paid with their lives to fulfill her goal. Gina, I am in full agreement. I understand what you are saying and it makes perfect sense. On one end of the racing spectrum, there are the wealthy who can spend ungodly amounts on high-priced yearlings and trainers’ fees and vet expenses (those drugs aren’t cheap! )…then the other end, the paupers – the majority – who cannot/will not obtain diagnostics and appropriate treatment for their racing-injured horse because they can barely make rent! It’s just crazy to me! For the struggling paupers, they’re mostly uneducated, unskilled, they know nothing else and they’re choosing to remain stuck in a dead-end job. But the wealthy? – I really think it’s ego. And on that note – EGO – I came across something strange about the racehorse Hazards of Love and his owner, Maggi Moss. There have been some social media comments that she willingly retired the nine-year-old to a non-race home. But I looked at his PP and saw that she had put him into a claiming race the end of April – and he was claimed. This gelding had 75 starts and earned nearly 600K. How can she take credit for retiring him when she SOLD him on April 30, 2016, in a 32K claiming race? Maybe Brad Cox (T) and Steve Landers (O) who claimed the gelding retired him, but Moss certainly didn’t – unless he wasn’t sound and the claim was void. Either way, what is out there on social media is skewed to make Moss look like she’s a “savior”. Yea, right. lexi63…there are tracks that allow the claimant to void the claim if the horse is injured during the race.It needs to be voided within a designated period of time, and I believe some tracks permit the claim to be voided only if the horse is vanned off or requires euthanasia. Hazards of Love’s last race – when he was claimed from Moss – was at Churchill Downs and I have no idea if they have that claiming rule. But that being said, you do make a very good point when you stated “there would be no claims”! i dont know where you got that information but it is incorrect, the horse is purchased when it goes into the starting gate , if it breaks its leg in the race it is OWNED by the new owner , they do how ever have insurance for this reason, but not a racetrack in the country voids a claim for lame horse. aahh new rule i see , it has been several years since i have been off the track after a lifetime on tracks all over the country . thanks for the info, I have never heard of this before , this takes a lot of risk out of the claiming business, good rule . Yes, lexi63…it is a newer rule and I don’t know how many jurisdictions/states have adopted it. Any sport leading to injury or death for any animal should be a crime punishable to all people that participate in such cruelty! These horses would not even exist if it were not for horse racing. This is what they’re bred for and they LOVE TO RUN, it’s in their DNA. The people on the backside of the track pamper the horses seven days a week. If people were treated half as good as these athletes ( horses) they would know what true love is. Many people work seven days a week taking care of the racehorses spending some of their own hard earned money, of which is not much, to buy fancy tack for their beloved horses. People that complain about abolishing horse racing have never been around a racehorse long enough to see how they truly love to run. WHOA Judy – stop right there. WRONG. I grew up in this industry. I later owned and trained up to 22 horses for 10 years. I hardly qualify for this statement contained in your comment. Moreover, many people commenting on this blog are EX-participants in this industry in many different capacities including owners, trainers, jockeys, exercise riders. So again, you are sadly mistaken when you state that anti-horse racing people are ignorant of the facts. Joanne Normile who wrote the popular book “Saving Baby,” was extremely active in the horse racing industry including running the HBPA in Detroit, MI. I would highly suggest that you order this book. It’s on Amazon, and it’s an incredible read for all, but especially for people who have been or are currently in this industry. If they LOVE to run so much then why do they have to be beaten, and whipped when tired and/or sore in the stretch? Whipping any living being – be it horses or children is not a willing gesture Judy. It’s violence. It’s also against the law. Whipping racehorses is blatant animal cruelty. Many sane people with solid moral, and ethical guidance have arrived at that conclusion. Consequently, they don’t support horse racing for that reason alone. In other words, you don’t have to actually participate in something to see that it’s morally, and ethically wrong. “They LOVE what they do.” I can assure you that they don’t love needles going in and out of their joints, veins, muscles on a regular basis in most racing stables all over the country. For example, the undercover PETA video of top Trainer, Steve Asmussen’s racing stable shows the racehorses attempting to fight back the sting of the needle. It happens when they are attempting to inject a sore, and inflamed fetlock joint right on the video. The horse actually kicks the silver tray out of the vets hands. Then the fear in one racehorse’s eyes are clearly evident as the needle is approaching their jugular vein. He backs up in the stall doing everything he can to avoid the needle. However, the lip chain over his tender gums, and a few handlers put an end to the struggling as the needle plunged into his jugular vein. Again, most sane, moral, and ethical people can clearly see that they don’t love this – not for one moment. Another comment: “The people on the backside of the track pamper the horses seven days a week.” This comment used by pro-horse racing people particular irks me, and one that I often used when I was at the height of my delusion – owning, and training racehorses. First of all, “pampering” is not the right word as far as I’m concerned. In the pro-horse racing community pampering means giving them a clean stall, fresh water, good oats, good hay, wrapping their legs, and grooming them essentially. Well – guess what? This is BASIC horsemanship 101 that every horse owner in the country does on a regular daily basis. For one thing, the water, and feed is essential elements of taking care of any pet. It’s required by law. So they are not doing anything special whatsoever. I do have a question for you: all the racehorses that get dumped at the kill auction, and slaughterhouses are they getting pampered too? Or how about the TB mares that are sold into a life of slavery (after no longer profitable) for hormone collection? They are tethered 24 hours per day, most unable to even lay down, with a collection bowl strapped to their genital area, foals stolen from them every year. Are they being pampered? How about the racehorses that are no longer profitable who have the most unfortunate fate of being placed in the industries disposal system called the “claiming” ranks where many are dying? Are they being pampered while being doped, whipped, dying, and dumped. Is that what you call pampering? You touched on another important point. Contrary to the fancy hats, mint juleps, and super rich people in the “sport of kings,” that accounts for about 10% of this industries participants. However, 90% of owner/trainers struggle to pay their own rent, to provide proper care/diagnostics for their racehorses that are more than likely running with physical and/or mental issues. Since the lower end people usually get the disposals that the rich people dump (kind of like a used care) the maintenance is very high. These racehorses were dumped into the claiming ranks for a reason, and it’s usually because they have ongoing chronic issues that required lots of drugs to keep them going. So my question is this: if any racehorse owner is struggling to pay bills or to buy tack they have no business owning and/or training a racehorse. It doesn’t matter if their intentions are good, or that they are good people because the racehorses are usually suffering under this scenario. Sadly, it’s a very common scenario all over tracks. In fact, some people who comment on this blog (Mary Johnson) are very active with FOOD BANKS in stable areas whereby owner/trainers can’t even afford to buy themselves food! Again, I refer to my umbrella term “delusional psychosis.” Obviously, somebody who is financially struggling to take care of themselves can’t financially, and properly care for a high maintenance racehorse. The entire industry knows this, but they exploit everything from the racehorses to the grooms, jockeys, exercise riders under the guise of this delusion. This is all done so that racehorses fill races, increase wagering income, and so that few people get rich at the expense of many others. For example, the industry brings in BILLIONS in wagering income, but that is not shared with the main participants (the racehorses) without whom this would not be possible. There is less than 1% of wagering income being given to aftercare programs and it doesn’t even make a dent for this irresponsible breeding. Don’t you see that you are being duped! The wagering public is as well. The most unfortunate thing of this entire con game is that the racehorses are paying with their lives. So ask yourself: is this what you want to support, and defend? I agree that the treatment of broke down, old, and horses that can’t preform for whatever reason, needs to change. I also know that very few people in this field make much money. Most live without being able to save any money, they haven’t any health insurance, they are constantly moving from one place to another following the race season from one track to another. It’s a hard life with little reward and they would not do it if not for the love of these majestic animals. Judy, Judy, It sounds like you are the one who has not been around racehorses long enough to know what y0ou are talking about. Further, it would be better that many of these horses never existed considering what they are subjected to before they end their short lives in the slaughterhouse. Also, it is a rare thing for anyone in this business to “love” their horse. How could one put their horse, the object of their “love”, up for claiming and risk losing their horse to some of the less than stellar operators in this business. But it happens all the time. No Judy, sad to say, there is no love for the racehorse unless one confuses love of the racehorse with love of the money and the thrill of the win. I’m not talking about owners loving the horses. The grooms I knew had a deep love for the horses they took care of and had no say as to what the trainers and owners did. I have my opinion and you have yours, let’s just leave it at that. Judy, you are delusional but, with that being said, how much time have you spent on the backside of a low level track? By the way, most are low level. On a regular basis I saw horses that were lame, thin and ones that had no bedding in their stalls but were expected to “hit the board” so that some low life could collect a paycheck. I fostered a mare, a few years ago, that was thin and covered in rain rot. Her name was Eighteenkaratgold and her trainer, Mr. Robin Keller, wouldn’t even keep her for three days until I could return to Beulah to pick her up and bring her to my barn. Goldy, as I affectionately called her, was taken into another trainer’s barn until I could return to the track with my truck and trailer. Oh, and she was ONLY four years old and very lame. I brought her home, had x-rays taken by my equine vet, and it was discovered that she had a fractured knee. She was only four and had just four starts. Therefore, anyone who says that these horses are “pampered” is lying. However, if we follow your sick, distorted logic, we could say that Goldy loved to run and loved fracturing her knee just so some low life human could enjoy a day at the races and place a freaking bet. Sickening…. From 1974 thru 2002 and believe me the horses got better treatment than the humans. Judy, if they really loved them then they wouldn’t exploit them for money. If you really love them, load them onto a trailer, and drive them to a beautiful farm where they can live out their days away from the cruelty circus, and death camp usually referred to as horse racing. If you want a copy of Saving Baby, I will send you one. Just let me know where to send it to, and you must read it. We were all where you are at – so I totally understand the delusional psychosis. This book will help you with this. Tell that to the 5 horses that lost their lives on Preakness Day, to the 28 who have lost their lives in NY, or to the thousands that die in the dirt for this despicable industry. The extensive KIA list is on this blog. From 1974-2002 conservative estimates of racehorses dying on tracks during this period is 5000+ that’s just on the tracks. That doesn’t include the about 50,000 that lost their lives in the slaughterhouse. Compare that to the stable personnel and you have less than 1%. Kind of obvious that taking care of horses means dying for this industry according to you. Wake up and smell the coffee – or shall I say deaths! I hope UL is going to be okay…but I believe very little what any racing publication claims. What is indisputable is that the colt was injured. Yet he finished the race and galloped out. These incredible creatures make it too easy for humans to exploit and hurt them. From trainer Sherlock…”He’ll live to fight another day.” – horses don’t want to fight but they will to survive. And racing sure makes it necessary for them to take care of themselves. http://www.paulickreport.com/news/people/desormeaux-undergoes-treatment-alcohol-rehab-program-returns-thursday/…. nice, He won the KY Derby on the favorite, lost on the favorite in the Preakness, went to rehab & will ride again June 9th? Yet that Ky Derby winner is already forgotten. Where are the stewards? WTF is going on??????? ooops, so mad I made a mistake. He won the Preakness, not the Derby.